Remember that I did mention that I am interested in a BB cream by BRTC in one of the earlier entry? (Yes, super outdated entry due to my fault >.<) Yes, I always love BB creams and products from Korea! Then soon after, I was being sponsored by Confirm Trading a retail size of the BRTC Glamorous Sparkling BB Cream as an advance Christmas for me late last year! BRTC actually stands for Bio Remedies Therapeutic Cosmetic, which first started in South Korea in 2006, aims to provide functional Aesthetic skincare that includes holistic preventive and treatment to address many skin problem. The range of products ranges grew from blemish care, cover care, anti aging, peeling and moisturizing. BRTC is KFDA compliant and is very effective for sensitive skin! Personally, I've been using this product frequently, especially on days when I'm into naked makeup, as it really makes my face glow and dewy simply just by applying it! But what I love most in this product is that it did not fade off/oily hours after I applying it. It just stay matte on my face and the most, only requires me to blot the excessive oil just once. However, It does not really cover blemishes/pores/scars well. Hence, I will always apply concealer to cover up those flaws after the BB cream. For those who do not really like their face to look glossy, they can always apply a small layer of loose powder, in this case, it will make your make up last even longer, and more matte. :) Give it a try people, you'll love this! 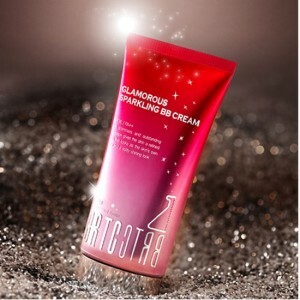 Anyway, for those who are interested in purchasing this BRTC Glamorous Sparkling BB cream, you might want to visit CONFIRM TRADING or any leading pharmaceutical stores/ drugstores too!